How to transfer iPhone music file with Xilisoft iPhone Magic? Current Page: Xilisoft > iPhone Transfer > How to transfer iPhone music? Is there any tool can replace iTunes to transfer music to iPhone? 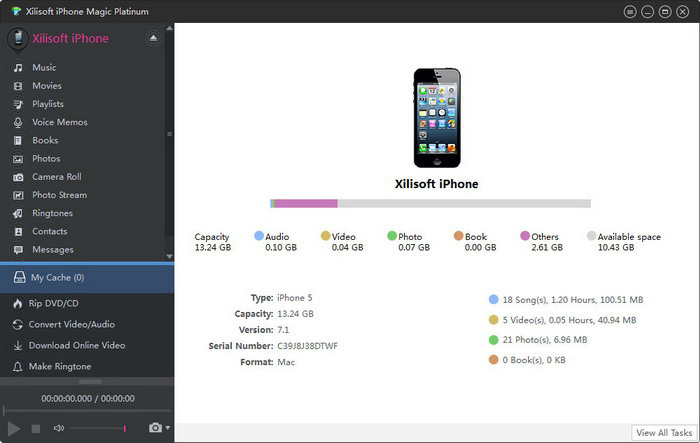 As a management tool for iPhone, Xilisoft iPhone Magic can transfer contents between iPhone and PC/iTunes easily. It enables you to backup all multimedia files like music, movies, photos, books, apps, contacts, messages, ringtones, etc to PC or iTunes, move files from computer to iPhone, convert DVD or other video and audio files to the format for iPhone. Now let's focus on how to transfer iPhone Music with Xilisoft iPhone Magic. 1. 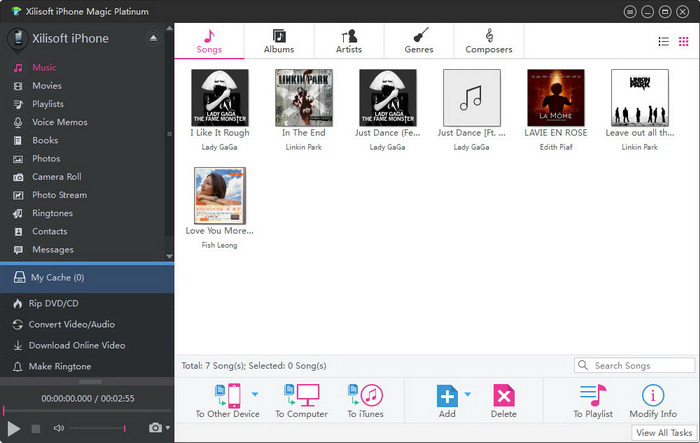 Free download simple-to-use Xilisoft iPhone music transfer, install and launch. 2. Locate the library in which you want to add files. 3. 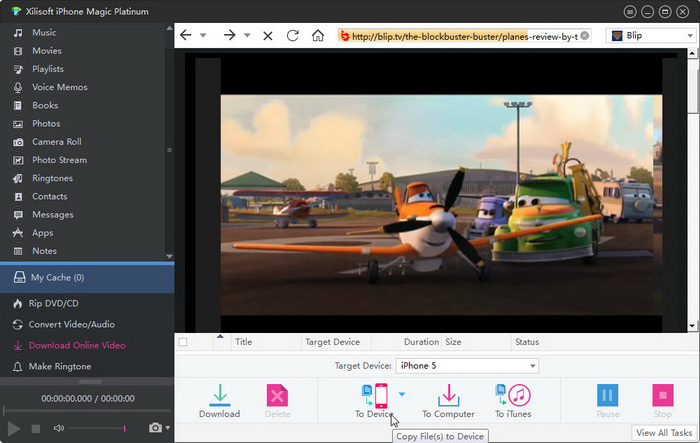 Click the “Add files to iPhone” button, and transfer the music files to iPhone. 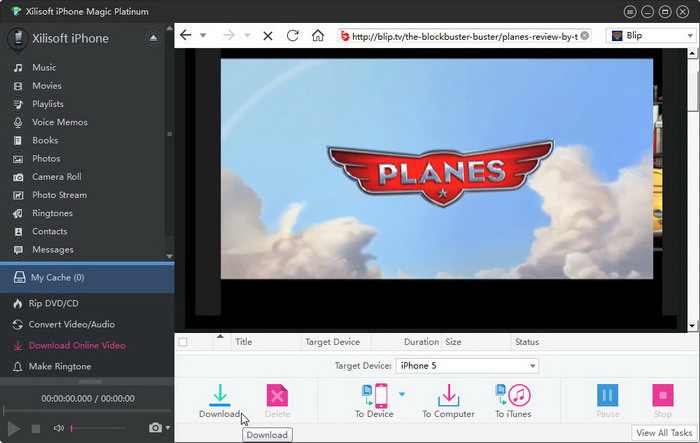 Tips 4: You can also use this software to download YouTube MP4/FLV videos and convert to other videos like AVI, MKV, WMV, etc to enjoy it everywhere. User-friendly interface and fast iPhone music transferring speed make the whole iPhone music transferring much easier and faster. Why not have a try, you will find more information at: iPhone music transfer.